If you’re looking for good vibes and a great meal, you can find it at Narbonne High School where a group of food trucks meet every Thursday. The vibe surrounding the area is welcoming to newcomers and regulars. 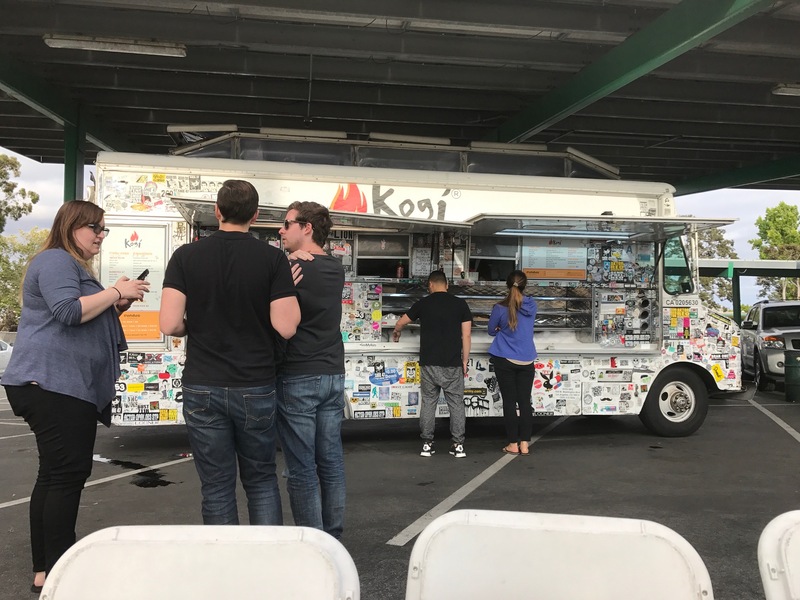 Recently, I visited the food trucks for the first time and I had a great experience with the locals and the staff who ran the food trucks. This event has been trending on Facebook with amazing pictures of gourmet food and hundreds of reviews just in case newcomers are unsure about the vibes. The prices are typically ranging from $5 to $12 which comes with a good portion of food. Typically there are about six different food trucks that attend this event, which range from salty and savory to a sweet treat. I was able to check out two out of the six trucks, one of which was called the White Rabbit. This truck served a fusion of Filipino with a Mexican twist on their cuisine. However the Kogi food truck peaked my interest the most because of their Pacman burger. This food truck served a fusion of Korean bbq, Mexican and American food. The Pacman burger is classified as a fan favorite and from experience I can see why. This burger was unlike any burger that I have ever tasted. 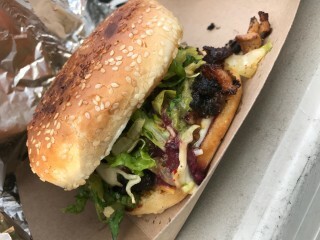 Instead of the typical hamburger patty, they used shredded short ribs, with kimchi and a chimichurri sauce as the condiments. I definitely recommend everyone to check out this food truck event especially if you are feeling adventurous.